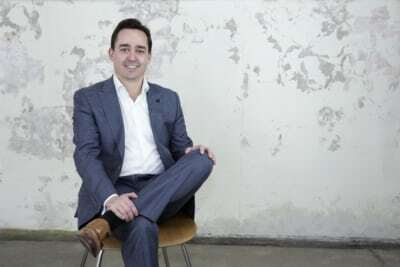 Blue Key Finance, a name synonymous with mobile mortgage lending, was founded by its sole director Matthew Carra in May 2004 operating as mobile Finance Brokers. From the very beginning Blue Key Finance has looked for ways to improve customer service by combining expert advice with personalised service. Blue Key Finance liaises with over 25 residential and commercial lenders on your behalf to find you the best finance structure and product to suit your specific needs. Finance Brokers at Blue Key Finance are available to visit you seven days a week for a review of your current home loan, immediate preapprovals, formal approvals, refinancing or a simple enquiry. Matthew Carra remains the driving force behind the business with his last role being a Bank Branch Manager. At Blue Key Finance, we take away the frustration and inform you of all the options available to help you make the right decision. We handle all the paperwork so you only have to deal with one professional from interview to settlement and beyond. My experience with Blue Key Finance has been a wonderful first time experience into the scary leap into property investment. Matt has been able to provide me with all the information I needed, and in a way I could understand it to make an informed decision on investments, with out getting over my head providing me with the confidence to have a go at securing a better future. Matt has always been there through each step of the process and is always happy to talk you through the things you may not quite understand or are sure about. His friendly nature, and genuine non pushiness is a natural quality as he is looking out for you and trying to help you to get where you want to be. I am running all my finances through Blue Key Finance because of Matt and his character, and have recommended Matt and Blue Key to family and Friends. “I recently purchased my first home and used the services of Blue Key Finance. I gave Matt the rather difficult job of organising finance after I’d made an offer on a house and with an exceptionally short settlement (not the best way to go about purchasing a home). Matt was exceptionally thorough in helping me understand the loan process and all available options. He was also willing to discuss and compare loan information I’d gained from other finance companies.